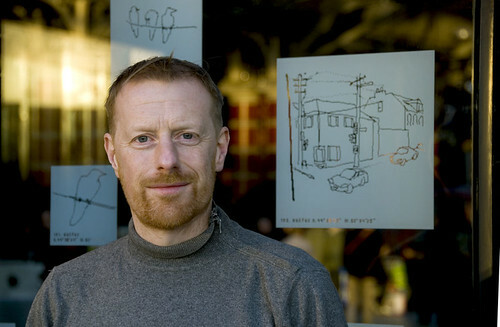 In 2008, traveling by container ship, train and bus, the artist Simon Faithfull made an epic journey from Liverpool (UK) to Liverpool (Nova Scotia). The purpose of this absurd endeavor was to create 181 digital drawings that record the daily details of a journey from the old world to the new. 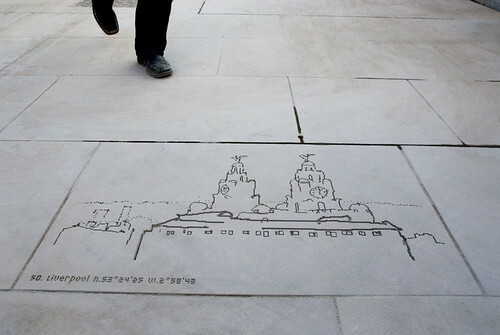 The drawings are etched into the glass facard of Liverpool Lime Street Station and sandblasted into the stone paving.